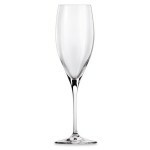 Riedel Vinum Cuvée Prestige Set of 2 (P/N 6416/48). 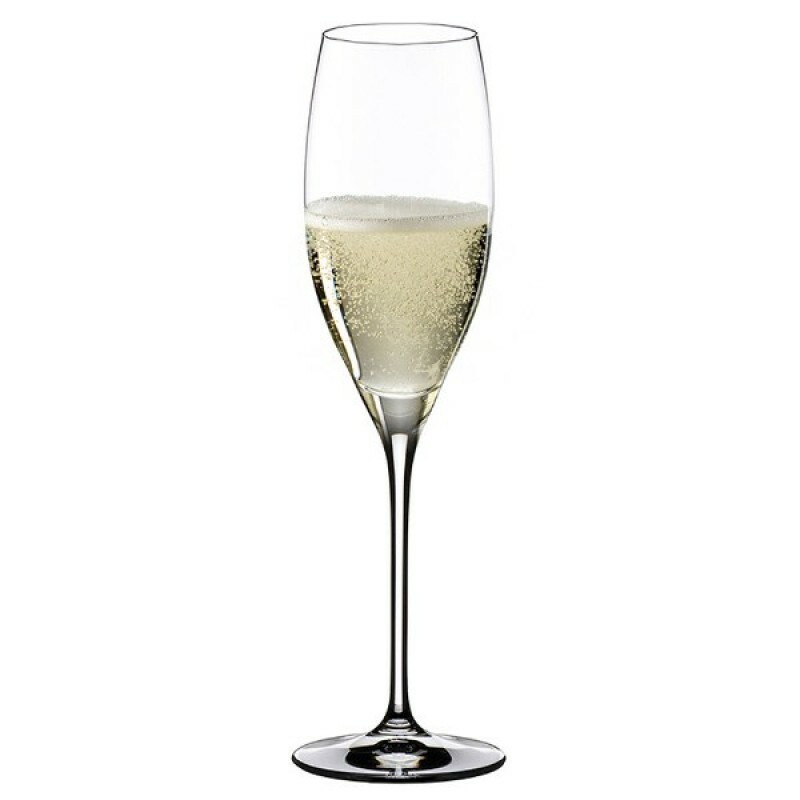 Bubbles are one of the best parts of champagne. This glass is designed to ensure your vintage won't go flat. Each flute is etched with a small dot at the base of the bowl that sustains effervescence. Machine-blown leaded glass results in greater consistency and precision than hand-blown and mouth-blown versions. A height of 8-5/8" and capacity of 8.5 oz. accommodate moderate serving sizes. Why choose this set over similar glasses? 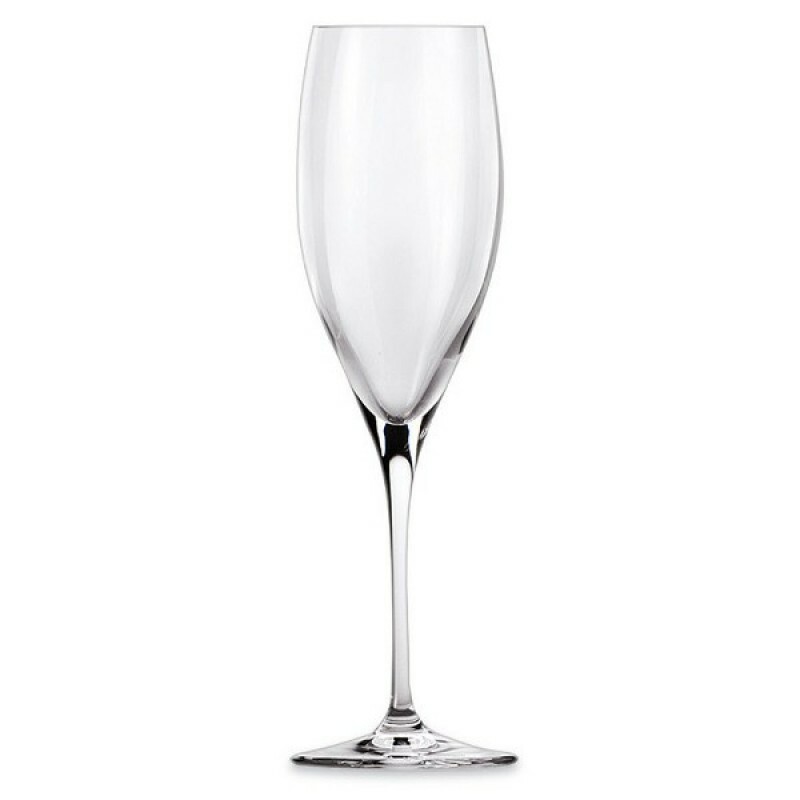 Riedel leaded crystal is optimized at the molecular level to develop wine's aromas. The Vinum line offers high-end glasses at an affordable price. 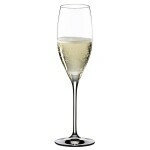 The Cuvée Prestige has an appealing, curvier shape than similar but straight-sided champagne glasses. 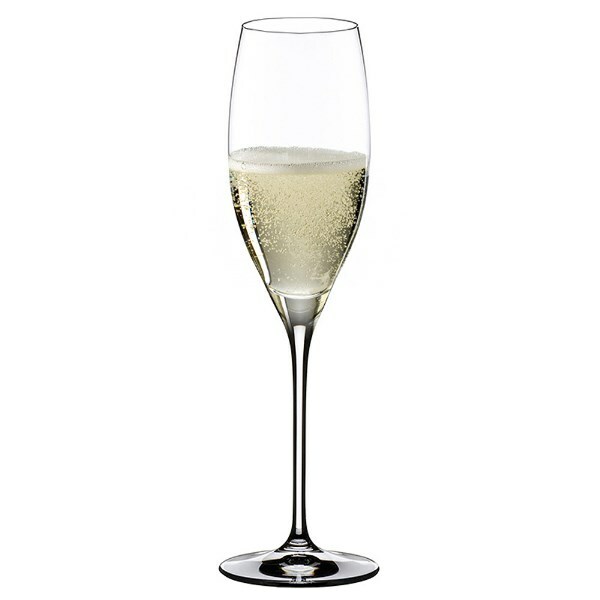 The Vinum Champagne Prestige glass was developed for dry champagnes.